In Adhyay 11 Shlok 1 to 4, Arjun asks that I have not properly understood your state that you have described in numerous ways because my intellect is low. The fact that I used to consider you as my brother-in-law, that delusion has also been dispelled; because Arjun had become frightened that someone else is speaking. Your grandeur is endless. What are you in reality? Please reveal your actual imperishable form. In Adhyay 11 Shlok 5 to 8, God (Kaal) is stating that (Arjun) you can not see that form with these eyes. Therefore I shall grant divine vision to you. Now behold. Saying this God (Kaal) revealed his actual Kaal form and said that now see what place everything has in my body. Please ponder: - Just as programs can be seen in every television (T.V. ), likewise, the whole description of a brahmand can be seen in the body of every human being – god etc. Description of the universal form (Kaal form) by Sanjay is mentioned in Adhyay 11 Shlok 9 to 14: Arjun saw the boundless form (Viraat) of Kaal possessing many eyes, many mouths, and many hands with weapons. Arjun saw him in such an effulgent body as if thousand suns had arisen all at once in the sky. Seeing all this Arjun said to Kaal God in amazement and delight. 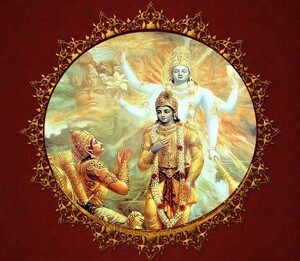 In Adhyay 11 Shlok 21, Arjun is giving an eye-witnessed account that those hosts of gods are fearfully entering into you. Some in fear, with folded hands, are chanting (singing praises of) your qualities; the hosts of sages and siddhs (perfected ones) are saying, “Kalyan Ho! (May there be auspiciousness! )”, and are praying to you by chanting auspicious hymns; which means you are also eating your worshippers. In Adhyay 11 Shlok 15 to 30, Arjun is saying that oh God! I am seeing hosts of all gods and living beings and Brahma on lotus and all sages in your body. And I see you with many arms, stomachs, faces and eyes. But I am not seeing any beginning or end of this and am seeing this fearsome appearance of yours. Others are looking at you in amazement and are getting anxious. Even I (Arjun) am getting anxious. Because oh Vishno! I am terrified on seeing your dreadful appearance. I am unable to stay calm and composed and all those souls of Dhritrashtr and hosts of kings are entering into you. Some are rushing into your mouth with great speed and some are being crushed between your teeth; some are seen trapped in between the teeth, and as the rivers fall into the ocean, similarly, the warriors of the Earth are entering into you. As moths rush into blazing fire, similarly, all the living beings (gods-sages-siddhs-along with common men) are rushing into your mouth and you are eating all the loks (Brahma-lok, Vishnu-lok, Shiv-lok, and all the fourteen loks) and are licking them again and again. The fire of your body is scorching the whole universe. Arjun Asks that Who are You in Reality? In Adhyay 11 Shlok 31, Arjun asks that oh best of gods, one with fierce form! I bow down to you. Please tell me who you are in reality. I very much want to know this. In Adhyay 11 Shlok 32, Kaal God is saying that I am the enlarged Kaal, the destroyer of the loks/worlds. I have come (appeared) at this time to destroy the worlds/loks. Even without you these warriors arrayed in the opponent’s army will not survive i.e. I will eat them. In Adhyay 11 Shlok 33, has said that therefore, you stand up; attain fame by conquering the enemies, enjoy the kingdom rich in wealth and food. All these have already been killed by me. Arjun (savyasachin – because of possessing the skill to operate bow with his left hand as well, Arjun was known as Savyasachi), you just become an instrument. You will surely conquer the enemies. Fight. In Adhyay 11 Shlok 36, the trembling Arjun fearfully offering obeisances with folded hands, spoke to God Krishna (because Arjun was thinking that this is Krishna but that was Kaal) in flattering voice – Oh omniscient god! The terrified demons are fleeing in all directions. The hosts of siddhs/ the perfected ones are bowing to you. In Adhyay 11 Shlok 37, 38 Arjun is saying that oh great soul, even the originator of Brahma! Why should not they salute you? Oh Jagannivas (refuge of the universe)! You are the akshar even beyond the sat and asat eternal and temporary/ being and the non-being (terrified Arjun is calling Kaal as everything). In Adhyay 11 Shlok 39, Arjun is saying that you only are father of Brahma (i.e. Kaal only is father of Brahma); repeated salutations to you. In Adhyay 11 from Shlok 40 to 44, Arjun is saying that I have committed a mistake that I have rashly addressed you by name as Oh Krishna, Oh Yadav, Oh friend i.e. brother-in-law, and by saying so disrespected you in front of ordinary friends. Please forgive me. You are the greatest teacher (guru). Nobody is greater than you. I bow before you and pray to you, God. Please forgive me. You are the one who tolerates all our offences. Arjun is saying all these words out of fear. In Adhyay 11 Shlok 45, Arjun is saying that I am delighted to see this Viraat (Kaal) form of yours, which was never seen before and my mind is also very much perturbed with fear. Please show me that godly form. Oh God of gods (Devesh)! Oh (Jagannivas) refuge of the universe! Please be pleased. In Adhyay 11 Shlok 46, Arjun is saying that I wish to see you as before, adorned with crown, holding a mace and discus in hand. Oh one with universal form! Thousand-armed! Please appear again in that four-armed form. In Adhyay 11 Shlok 47, Kaal God is saying that Oh Arjun! Being pleased with you, I have shown this boundless Viraat (Aadi Kaal) form of mine to you, which no one else except you has seen before. In Shlok 48, has said that Oh Arjun! 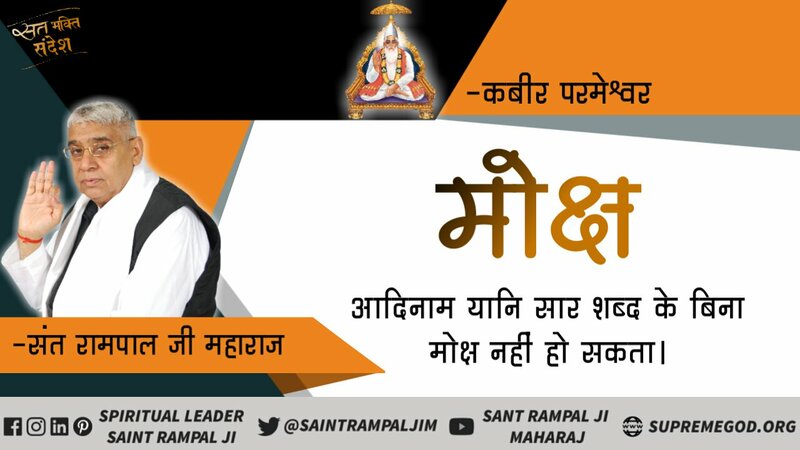 Neither by study of Vedas i.e by doing sadhna according to the prescriptions of Vedas, nor by yagyas, nor by charity, nor by rituals, and nor by severe penances, can I be seen in this way (in universal form) in the world of men by anyone else except you; which means I (Kaal is saying) can not be attained by anyone by any way of worship. Please ponder: God Kaal (Brahm) clarifies that my attainment is impossible. There is evidence available in Mahabharat that when God Krishna had gone to cause conciliation between the Kauravs and Pandavs, then Duryodhan had disrespected him. Then Sri Krishna Ji had displayed the Viraat form. And now is saying here that Arjun, no one else except you has seen my Viraat form before. Hence proved that Kaal had displayed this form. And in Mahabharat, Sri Krishna Ji had shown that form. Therefore Sri Krishna Ji has not narrated Gita, this was narrated by Kaal. There was a significant difference between both the Viraat forms, and if we think carefully then Sanjay is also seeing the Viraat form with his own eyes and describing it to Dhritrashtr. 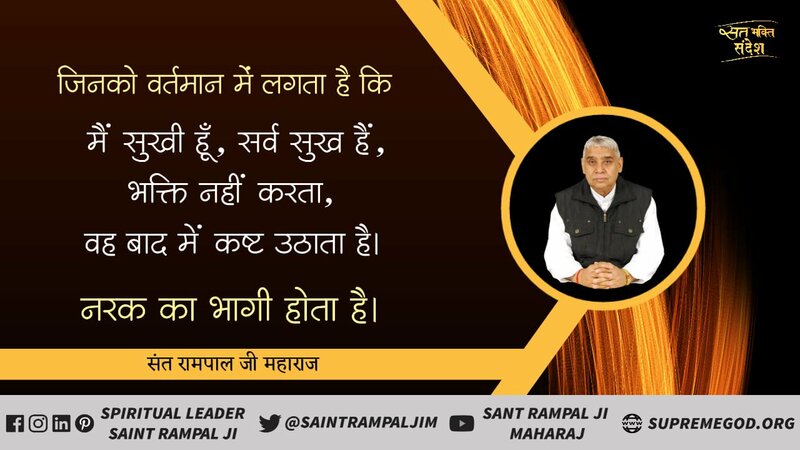 Then to say this that it can not be seen by anyone except you, only proves this that Kaal God has delivered the knowledge of Gita and not Sri Krishna Ji. In Adhyay 11 Shlok 49, God is saying that Arjun, do not be afraid like fools on seeling this dreadful form. Shedding all your fears, behold that (four-armed) form again. In Adhyay 11 Shlok 50, Sanjay is saying that then God assumed his human (Krishna) form and consoled the frightened Arjun. In Adhyay 11 Shlok 51, Arjun has said that Oh Janardan! Seeing you earlier in the four-armed form and now in human form, I have regained my (fearless) natural state. In Adhyay 11 Shlok 52, 53, God (Kaal) is saying that this form (four-armed form) of mine which you have seen is extremely difficult to be seen. Even the gods are always longing to obtain a sight of this form. Even this four-armed form can not be seen by the methods mentioned in Vedas, or by austerity, or charity, or yagya; which means the sight of this Chaturbhuj (four-armed) form is absolutely impossible. Because Kaal God lives in Brahm lok in MahaVishnu from in Four-armed form. Only by reaching there can one see Kaal in four-armed form. The place in Brahm lok where Kaal (Brahm) lives in three secret places in MahaBrahma, MahaVishnu and MahaShiv form, one can not go to that place by the methods mentioned in Vedas. One can only go to the Great Heaven (MahaSwarg) built in Brahm lok (evidence is in Adhyay 9 Shlok 20-21). Therefore has said that it is very difficult to see this four-armed form of mine but this form can be seen only by doing undivided devotion i.e. 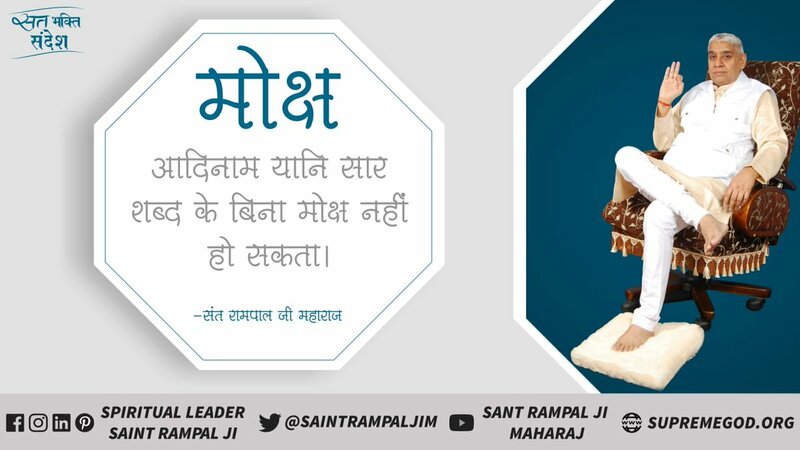 by worshipping only one God (Kaal) by abandoning the sadhna of other gods-goddesses and Brahma-Vishnu-Shiv (the three gunas – Raj, Sat, and Tam). Only the worshippers of Jyoti Niranjan can see Kaal that also only in four-armed form in Great Heaven (Brahm lok). 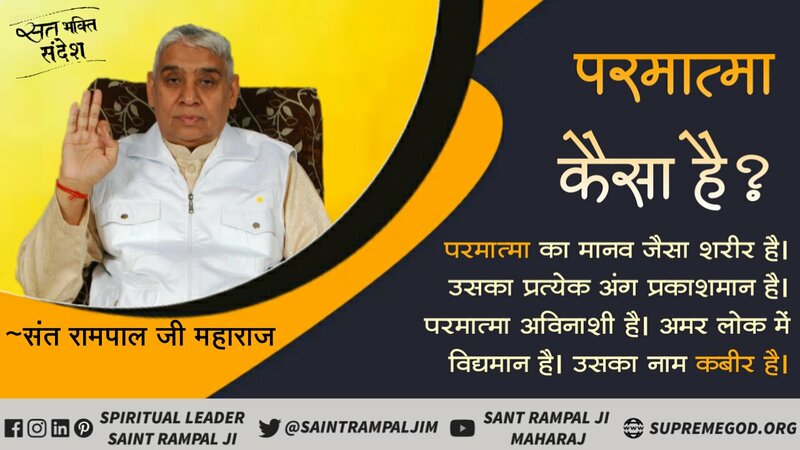 The Viraat form which is the actual form of Kaal God can not be seen by any way of worship. 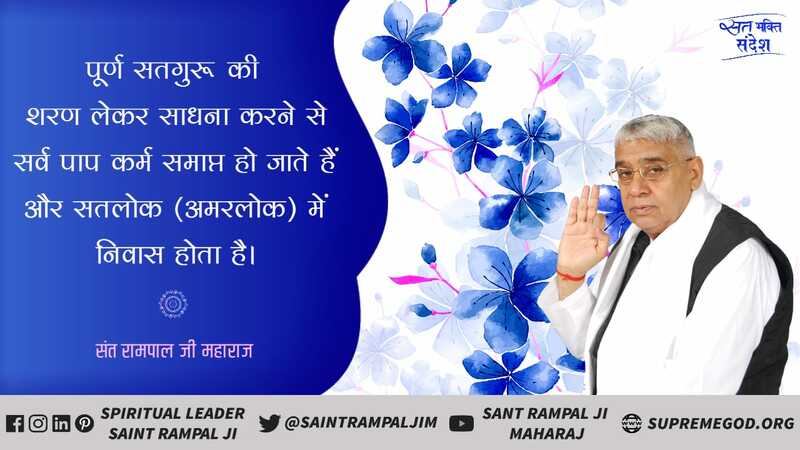 In Adhyay 11 Shlok 54, has said that even this four-armed form (which can neither be seen by Vedas, nor charity, nor austerity, nor rituals) of mine can be attained by only undivided devotion by him who knows me (my glory) is essence. The purport is that Arjun had known in essence that Kaal God is a very strong power. There is no option other than him. He only is making all the living beings dance. Then with fear and special love was looking at that four-armed form and appearance of a Mahatma (the four-armed godly appearance) with special faith (with undivided attention by being attracted to only one God Kaal). At that time Kaal God says that this four-armed (MahaVishnu) form of mine can also be seen only by undivided attention. 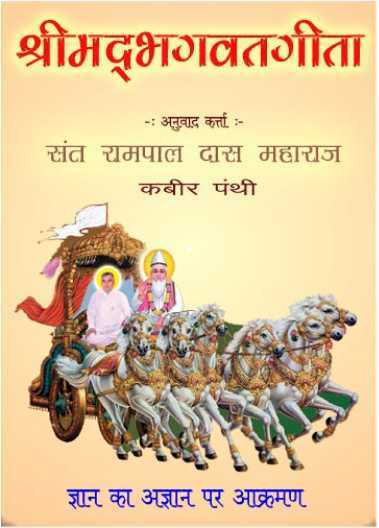 One of the translators of Gita has written that my same Viraat form can not be seen and attained by Vedas, by austerity, by Charity and by rituals, but can be seen with undivided mind, which is not correct. Because the description Viraat form has ended in Adhyay 11 Shlok 47, 48. Kaal God is saying that neither has anyone except you seen this Viraat form of mine before, nor can it be seen by anyone except you in the future. When Arjun, frightened of the Kaal form, says that (in Gita Ji Adhyay 11 Shlok 46, 47) Oh one with universal form (Vishwaroop)! Oh thousand-armed (Sahasrabaahu)! Please again appear in that four-armed (Chaturbhuj) form of yours with mace and discus in your hand. Then in Gita Ji Adhyay 11 Shlok 49, has said that do not be frightened of this dreadful appearance of mine. Again behold my same (Vishnu) composed appearance. If it is a dreadful appearance then what is the need to say to see it again/ Arjun was already seeing it. 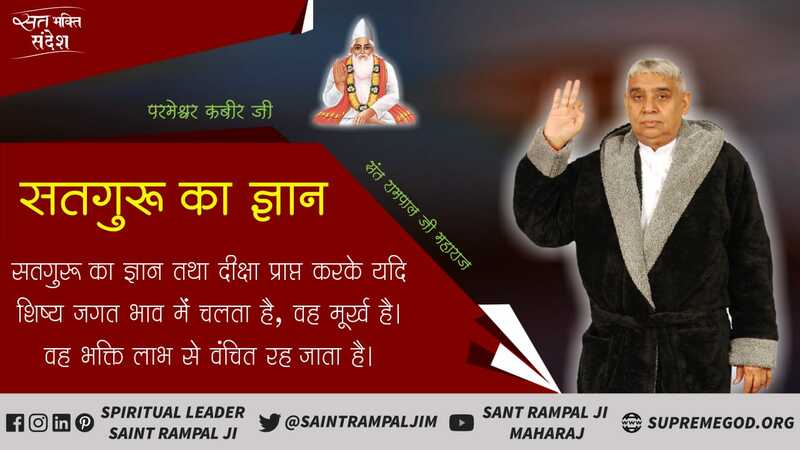 Then in Gita Ji Adhyay 11 Shlok 50, has said that saying this God Vasudev displayed his same Mahatma form (the four-armed godly appearance which Arjun wanted to see), and then assuming the human (Krishna) form, God said that this four-armed form which I have shown you, the gods long to see even this. Hence proved that one can achieve liberation (mukti) only by naam and not by other sadhnas. Many devotees and saints say that the meaning of bhakti (devotion) with undivided mind (attention) is that one should do bhakti by giving up love-hatred, lust and anger. One does bhakti in order to eradicate these defects only. If these come to an end then the soul will acquire the actual flawless existence which is equivalent to God. The means of correcting these defects is – the refuge of one naam of one God and not of other gods-goddesses. In Adhyay 11 Shlok 55, God is saying that Oh Arjun! A Matavlambi devotee (worshipper) who does bhakti sadhna (karm) according to the way described by me (Matanusar) and is free from attachment, that detached bhakt of mine and free from enmity towards all living beings, comes to me. Because a devotee, who does sadhna (matanusar i.e.) 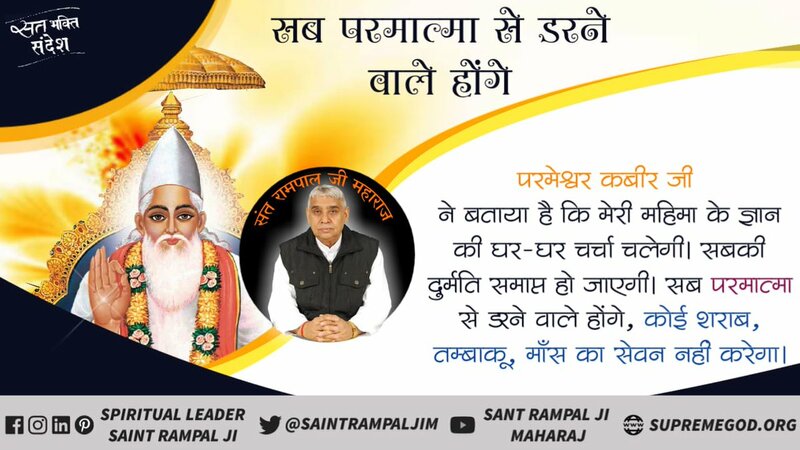 according to the sadhna mentioned in Vedas (because the doctrine of Brahm sadhna is mentioned in Vedas or now in Gita Ji), is known as a superior devotee. 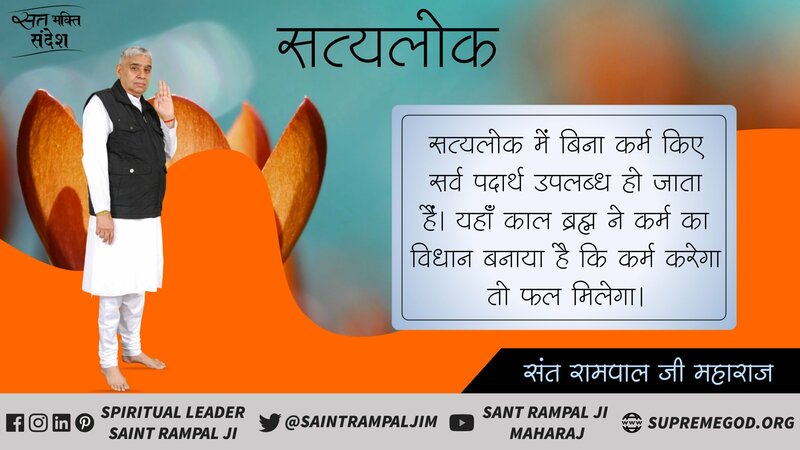 Because those who perform other sadhna which is not in accordance with the scriptures have been called as sinners and of demoniac nature. (Gita Adhyay 7 Shlok 12, 15; Gita Adhyay 16 Shlok 23, 24) he also goes to Kaal which means remains in Kaal’s (Jyoti Niranjan) trap. Please ponder: God is saying that only a devotee who is free from enmity can attain me and is himself saying that Arjun, fight. A fight is impossible without enmity. An important thing is that in Gita Adhyay 1 Shlok 30 to 39 and 46; Adhyay 2 Shlok 4, 5, Arjun is free from enmity and says that I will not fight. Instead I would prefer to live on alms. Then God’s love towards Prahlad and hostility to Hirnakashipu is self-evident. 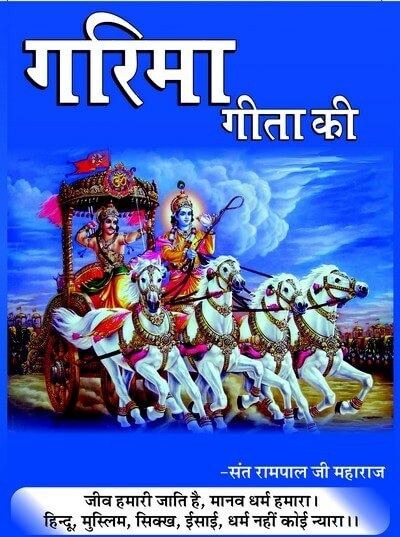 Readers, please think that the knowledge of Gita is correct. But to become flawless is neither under control of Brahma, nor God Vishnu becaused to protect God Shiv, he turned the demon Bhasmasur into ashes by making him do Gandhath dance. Here, hostility to Bhasmasur and love towards Sri Shiv is clearly visible. Even Gods could not become flawless. One can only become flawless and attain the Supreme God by the method described by Kabir Sahib Ji.